After scoring nearly 900 points in his junior year, earning 1st team all-Big Ten honors, being named an All-American for the 2nd year in a row, and earning praise by being compared to Stephen Curry, Carsen Edwards announced today that he will forego his senior year and enter the 2019 NBA Draft with an agent. This doesn’t come as a big surprise to many Purdue fans; after scoring 139 points in the 2019 NCAA Tournament (with two 42-point performances), Edwards could end up being the highest scorer in the tournament, and even played 2 less games. His performance gained himself even more attention, boosting his draft stock to a high-2nd rounder, and maybe could sneak into the first round. While it hurts for us, this is the right time for Carsen to go. While his field goal percentage during conference play may have caused us to scratch our heads, he will be coming into the draft as possibly one of the hottest names out there. I heard some say online that he should have waited until next year’s draft because this season’s draft was “crowded”; however, this is said pretty much every year, and waiting another year could cause Edwards to fall back a little bit. When an opportunity presents itself, you something have to take that leap of faith. Now, given the context of Edwards’ announcement, I would NOT hold your breath expecting Carsen to return (so no #CarsenWatch2019 this year), but this new rule could also players like Nojel Eastern to declare again, but this time with an agent, but still have the option to return. 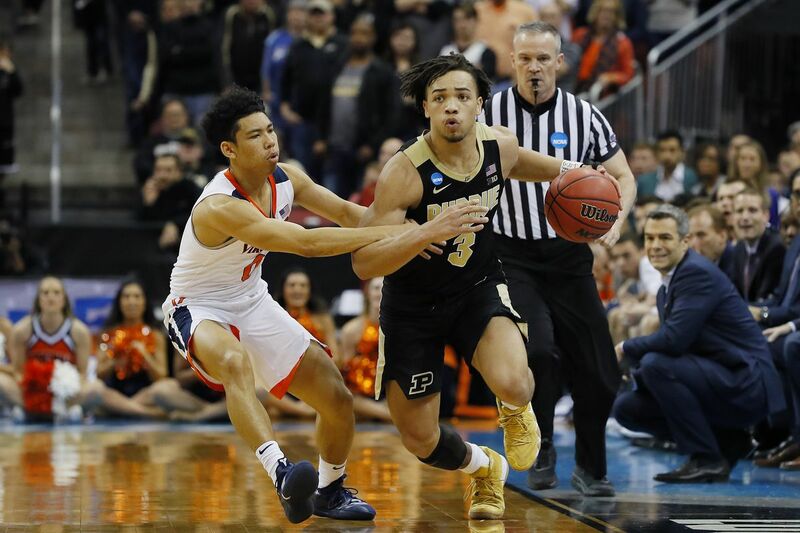 Looking ahead to next season, Purdue’s offense looks pretty bleak with both Carsen and Ryan Cline’s departures, along with Assistant Coach Greg Gary taking the Mercer head coaching job, as he seemed to be the one calling many of the offensive in-game plays. Of course, Purdue is filled with many up-and-coming underclassmen, and a good offseason hire at the assistant coaching position could help quite a bit, though the non-conference season could be rough again. At this point, we’ll just have to wait and see.